Wow. Has it really been almost a month since my last post? 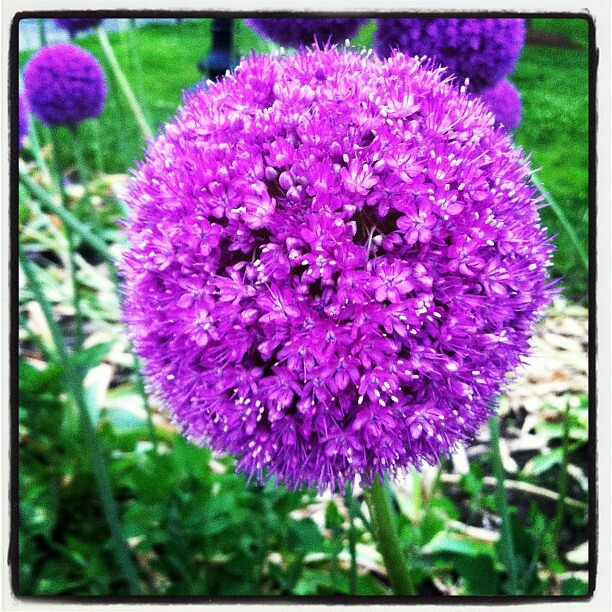 Time really flies when you’re having fun and I’ve been fortunate enough to enjoy a great summer right here in Boston. Those of you that follow me on Instagram might have seen glimpses of my daily whereabouts or at the very least you know what I wore or what I ate. If you don’t have a smartphone, you can still view my posts online via Webstagram or please follow my FB fanpage. 🙂 And yes, this my shameless attempt to garner more followers but they should fill the void between my bouts of radio silence. 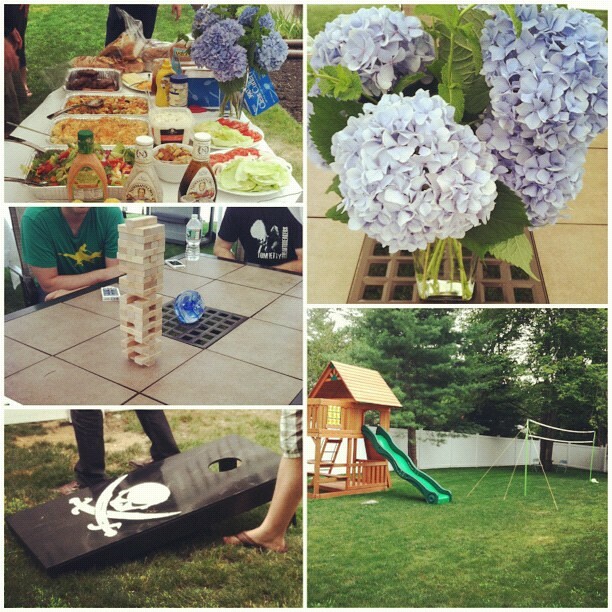 Speaking about my one month hiatus, would you like to see more updates on here? Andie Mitchell wrote a great post about blogging and I think it’s definitely worth reading if you have the time. I stumbled across her blog a while back for the food but I enjoy reading the things she shares with her readers. I’m in constant awe of bloggers that post frequently and kudos to the power bloggers that are so responsive with their follows via social media. that enjoy/appreciate the same things. 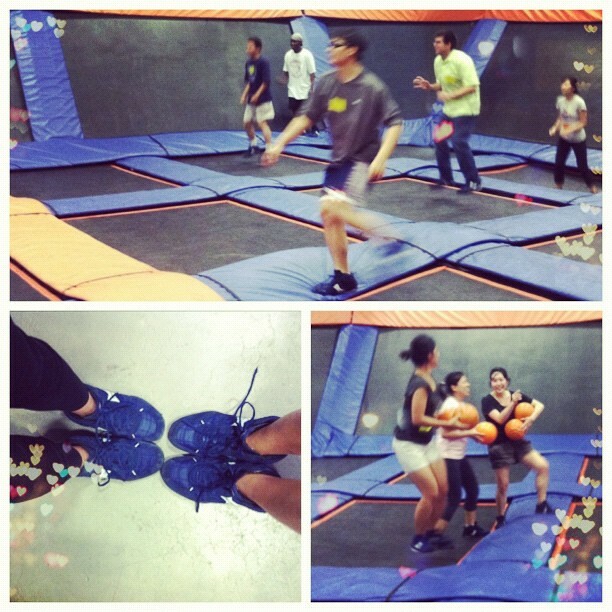 Playing 3D dodgeball at Sky Zone. Playing outside. I’m admittedly no good at corn hole, volleyball or badminton but it’s nice to enjoy the sun doing outdoorsy things after being holed in the office. Eating cupcakes. Try the daily flavors at Georgetown Cupcake. I like trying new bakeries don’t you? The long lines definitely piqued my interest. I think they have good cupcakes but at the same time they didn’t knock my socks off. I also heard about Flour Bakery but I have yet to try them. Watching movies. My favorite movies this summer are Ted and The Dark Knight Rises. Taking a stroll along the Boston Public Garden. 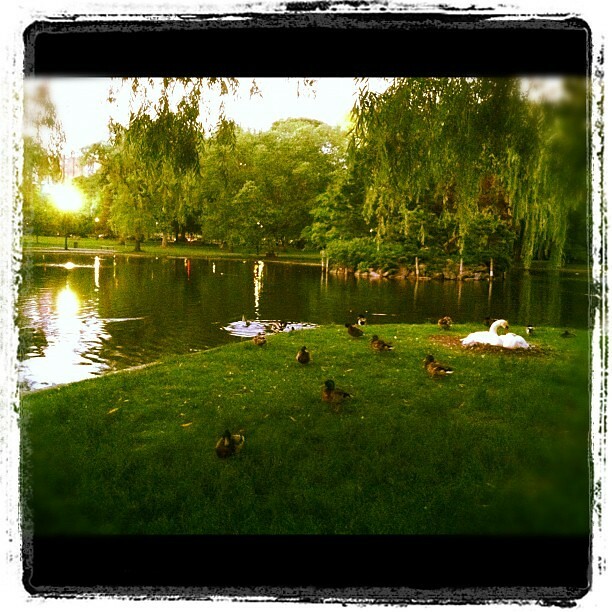 A scenic view with swans, ducks and weeping willows is always a nice way to laze the day away. Bring a book, bring a friend, bring your partner, prepare a picnic. Enjoy some Italian ice at a nearby stand (I love the watermelon flavor). 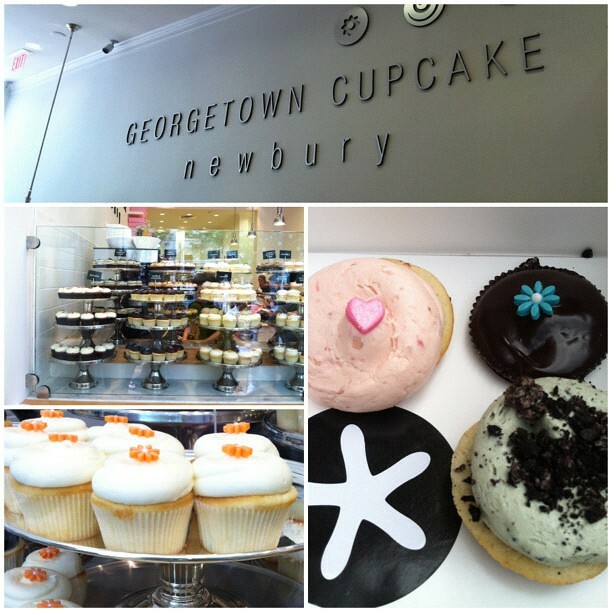 omgosh i'm so excited to see georgetown cupcakes where you are!! they're originally from my hood muhahah 🙂 it you can call a place that sells $3+ dollars for a cupcake "hood" hahahaha. 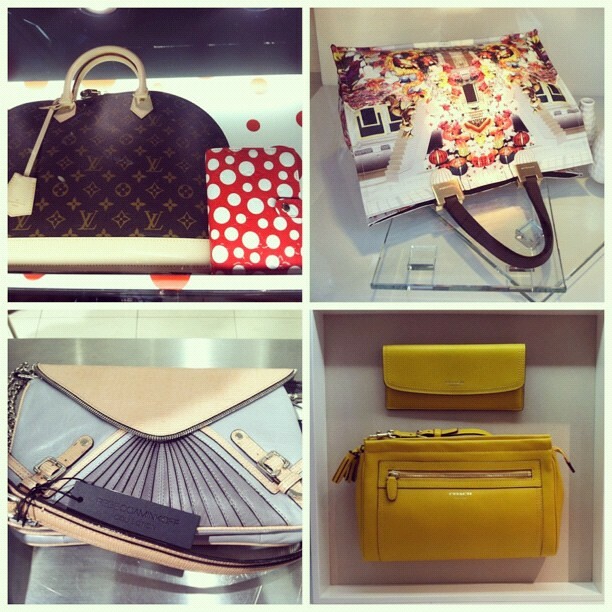 i've always been obsessed with that alma bag!! especially in the monogram because there's something so classical about it.. but the older and older i get.. the less and less practical it seems to be for me. le sigh!! you know it's so funny that you mention that because i've always loved the celine too.. but it seems odd when i try it on it just seems to bulky and boxy (the same reason i don't wear the LV vernis anymore) i really think certain bags just suit certain ppl more!!!! i've been tempted by the neverfull too because it just seems like it would be a really great bag to travel with but i've heard complaints about the strap too.. the leather wears off or something.. and the bag can get super heavy whereas the straps don't really support the weight of the bag 🙁 because i sort of really love how 'slouchy' it is hahaha. Cupcakes = happiness. :)I love my Trevi PM but it's so heavy (and the Alma seems heavy too). I'll have nothing in it and it's already got some weight to it. lolI think the Neverfull is a great bag despite the strap issues. The larger size would look great on you and looks cute with the sides folded inwards. Depending on the circumstances LV will do the repair for free but if not then the repair fee isn't too bad. I had the handles on the Trevi repaired since I originally purchased it with the slightest of defects. (It had a very small, extra piece of leather hanging off that eventually caught onto something but it didn't really bother me until this past winter after owning it for 3 years.) I was so excited to get my hands on it and didn't bother to give the bag a once over. The defect really wasn't noticeable except to me and I didn't miss it (too much) since I have plenty of other ones to keep me happy. I was quoted $75 but it came back to me gratis. They even replaced both handles even though absolutely nothing was wrong with the other one.